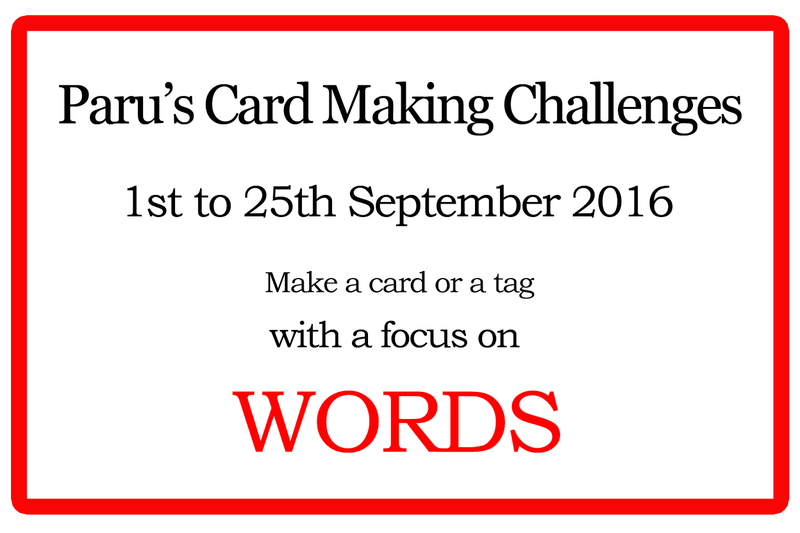 This month we have an interesting challenge..am looking forward to all your great interpretations! 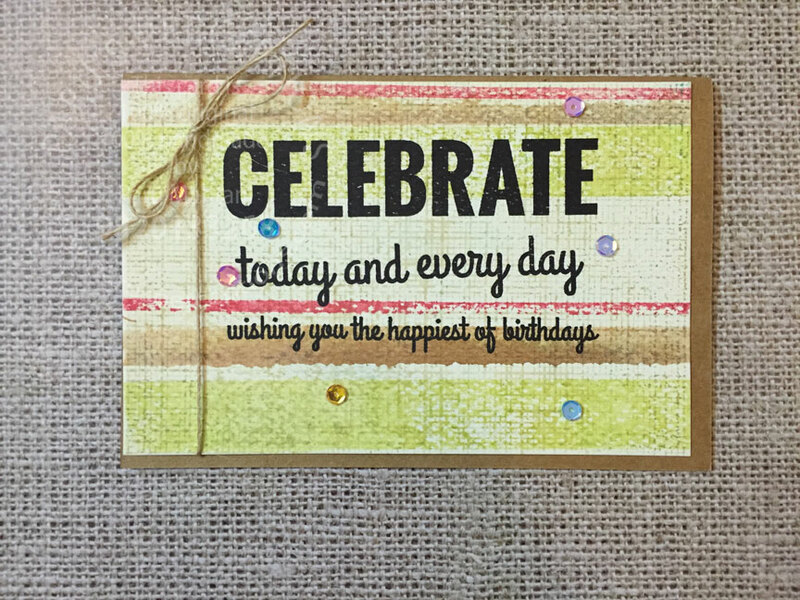 The challenge for September is..
from Impression Obsession on ivory card stock. using distress inks, spritzed with water. 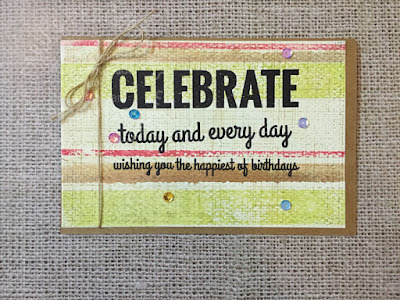 I added sentiments from MFT stamps "Celebrate Big" stamp set. and sequins from Pretty Pink Posh to finish the card. I used the honeycomb stencil from 'CraftAdda' and Fired Brick distress ink from Tim Holtz. I then filled in some of the spaces with Sakura Koi watercolours in primary colours. The 'hugs' die is from Winnie and Walter. To make it pop, I added a bit of vellum under the die cut. I finished the tag with some black cord. in a couple of days! Don't forget to check in...it's going to be exciting!!! 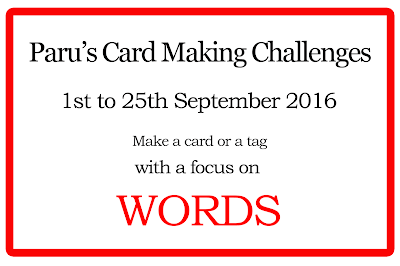 We hope you have been inspired to create some beautiful cards with a focus on WORDS! I will announce the winner of this challenge on the 28th of September, so don't forget to stop by! That's a different take :) Would love to participate! I thought the last date was today till 11.59pm :( Missed it!! Thank you!! Cant wait to see your creations! 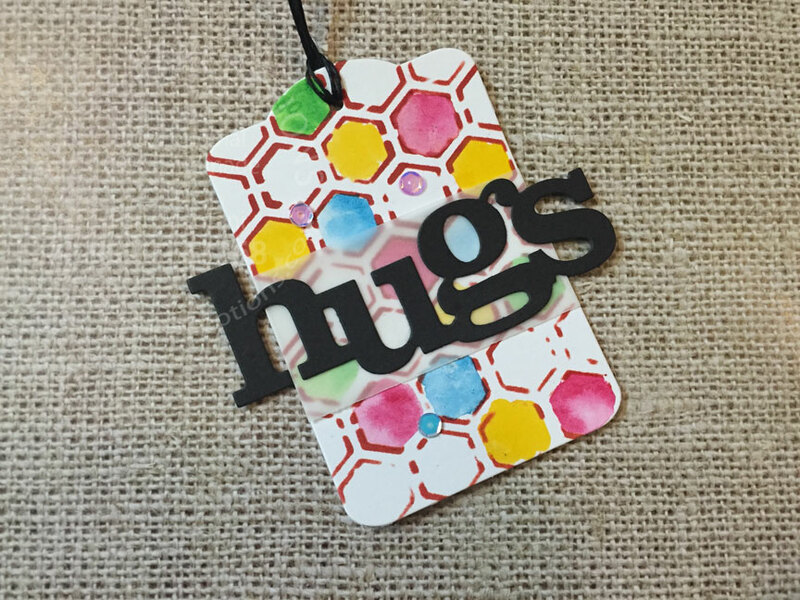 Great card & love the tag with that wonderful big die cut Hugs! GD Gayatri Murali, take a bow!